A mouth-watering array of sensational sportscars, flame-spitting saloons and evocative single-seaters will thrill the crowds at this year’s Thruxton Motorsport Celebration (1/2 June), with no fewer than 15 races on the bill as the past comes back to life at the fastest circuit in the country. Following the resounding success of last summer’s 50th Anniversary Celebration weekend, the decision was taken to make the popular, family-friendly event an annual affair. In addition to the myriad of yet-to-be-announced off-track attractions and high-speed demos, nine series have been confirmed to take to the circuit at the retro-themed Hampshire festival. The action will rev into life with the Historic Touring Car Challenge (HTCC) with Tony Dron Trophy, for models that competed in the British and European Touring Car Championships between 1966 and 1990 – including larger-engined turbocharged cars like the legendary Ford Sierra RS500. The Tony Dron Trophy – named in honour of the 1970s touring car and Le Mans ace – is a standalone series for Group 1 Touring Cars from 1970 to 1982. Going even further back through the gears, the U2TC for pre-66 under two-litre Touring Cars and HRDC ‘Coys Trophy’ for Touring Cars 1958-1966 feature cars that first raced in their prime more than half-a-century ago. In the same vein, the HRDC ‘Allstars’ for pre-66 Sports, GT and Touring Cars – which evokes the spirit of the Club Members Meetings of the 1950s and ‘60s – recreates the ‘Allcomers’ Club races with the greatest variety of pre-’66 historic competition cars to be found on a single grid, from super-quick Ashley GTs to powerful TVRs and Cobras, not to mention the rare Daimler Dart and Austin Healey Jamaican. The HRDC ‘Alfa Challenge’ for Alfa Romeo Sports, GT and Touring Cars is sure to appeal to all ‘Alfisti’, with fans of the much-loved Italian marque set to be spoiled by a grid-full of seldom-seen models from the early 1950s through to the late 1970s – Giuliettas in both Spyder and Berlina form, Giulia Supers and GTs and the later Alfetta GTVs and Berlinas amongst others. The RAC Woodcote Trophy/Stirling Moss Trophy is widely acknowledged as the pre-eminent series for late-1950s sportscar racing, with all cars running in genuine period specification to ensure an authentic experience true to the era, while the Sports 2000 Championship reunites a field of two-seat, mid-engined, open-cockpit, full-bodied sports prototypes. The FJHRA/HSCC ‘Silverline’ FJ Championship, meanwhile, boasts two grids at the Thruxton Motorsport Celebration – one for front and one for rear-engined machinery. Launched in 1958, Formula Junior was intended to provide an entry-level open-wheel formula in which drivers could use inexpensive mechanical components from everyday cars. 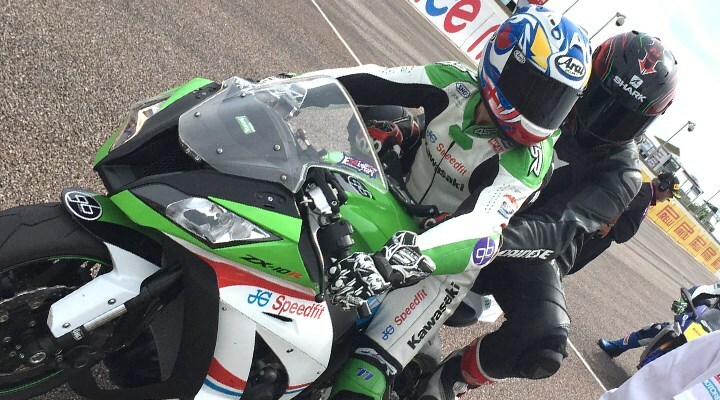 “Although initially conceived as a one-off to mark half-a-century of motorsport at Thruxton, last year’s event was so phenomenally well-received that we couldn’t not continue it,” explained Thruxton Operations Manager, Pat Blakeney. “We’re delighted to unveil such a glorious grid for this summer’s festival, with a tremendous variety of iconic sportscars, saloons and single-seaters spanning several of the sport’s most memorable decades. 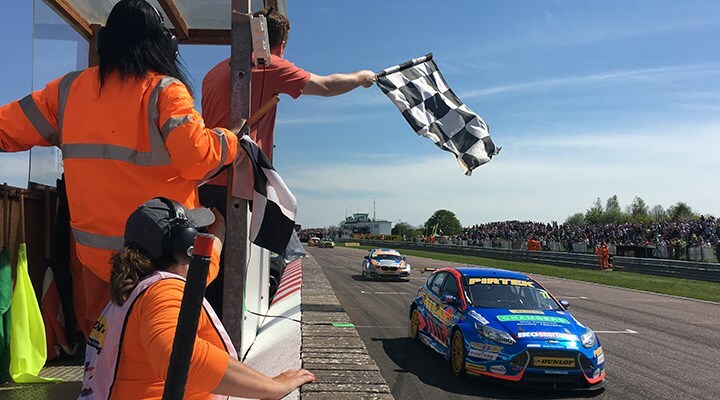 Advance tickets for the Thruxton Motorsport Celebration on Sat 1 - Sun 2 June are available from just £12 for Saturday entry and £20 for Sunday – or £28 for both days. Sunday grandstand seats are an additional £5. Accompanied children aged 15 and under will be admitted free of charge. 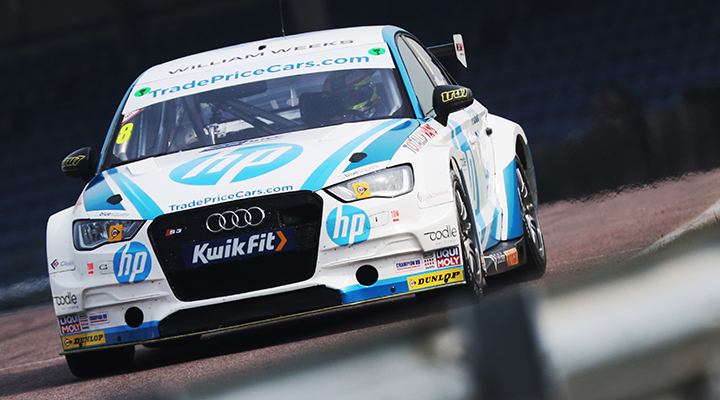 For further information or to buy tickets, visit thruxtonracing.co.uk/racing/celebration or call 01264 882222.